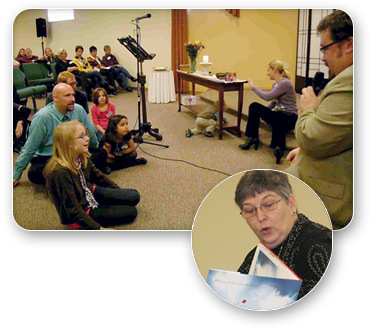 Unitarian Universalism is an exciting, growing, living faith tradition. We have a proud history which begins in the earliest days of the Christian faith with thinkers and leaders who proclaimed the oneness of God (Unitarian) and the salvation of all (Universalist). In the reformation, Unitarianism was (re)born as a faith of reason, religious tolerance, and commitment to faithful and compassionate living. Unitarianism and Universalism were vital and strong influences in the early years of our nation’s development when we led the way toward a more democratic vision of religious and civic life. Our traditions were reborn again in transcendentalism, evolution, humanism, and the social gospel movement. In America the Universalist Church in America was founded in 1793 and the American Unitarian Association in 1825. 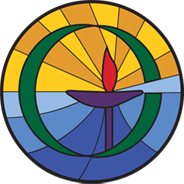 These two churches merged to form the Unitarian Universalist Association (UUA) in 1961. 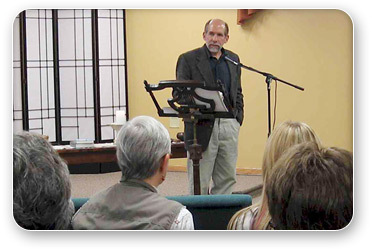 While Unitarian Universalism is deeply rooted in the Christian faith and is sometimes referred to as a “denomination,” it is actually a distinct religion. Unitarian Universalism has become a living multi-religious faith -- a faith of deeds in place of creeds, a faith of hope in place of despair, and a faith of justice in place of apathy and oppression. It is a lived faith. We invite you to join us on this journey. We are a non-creedal faith, and we have no required statement of belief. Our members and friends have religious and spiritual ideas drawn from a variety of sources: Christianity, Judaism, Islam, Buddhism, Earth Centered Traditions, Taoism, and varieties of mysticism, humanism, and skepticism. Sometimes we use the metaphor of “one mountain with many paths” – that the source of truth is accessible in many ways. There is, however, a set of values and principles that unite Unitarian Universalists. In 1985 The Unitarian Universalist Association adopted a statement of Principles and, in addition, identified the Sources which provide the foundation for these Principles and our living faith.